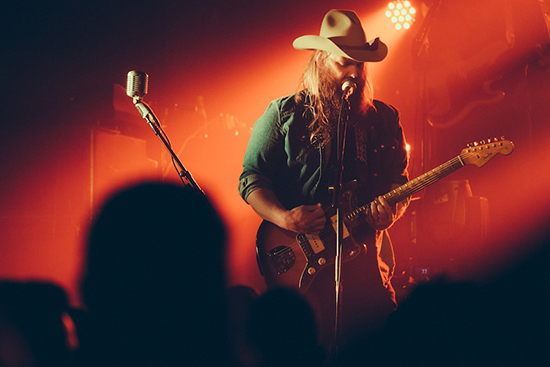 Chris Stapleton will continue his extensive U.S. tour this spring, including newly added dates in New Orleans, Charlotte, and Philadelphia, among many others. Tickets for the new shows are on-sale this Friday, March 18. See below for complete tour details. The tour celebrates a breakthrough year for Stapleton following the release of his certified RIAA Platinum debut solo album, Traveller. Released last May on Mercury Records Nashville, Traveller initially debuted at No. 2 on the Billboard Country Albums chart with more than 27,000 albums sold, making it one of the best-selling first weeks by a debut country artist in 2015. The album also received extensive critical acclaim and has landed him bookings on multiple national TV shows including his recent appearance as musical guest on Saturday Night Live.